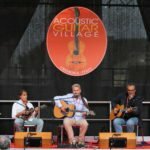 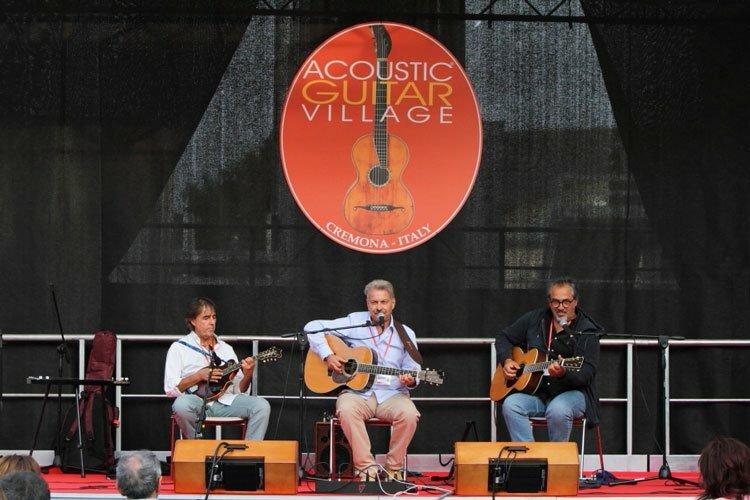 The new event, collectively named ACOUSTIC GUITAR VILLAGE, has presented an edition on May 27th-28th-29th in Sarzana, with focus on concerts, live performances, jam sessions and so on in the streets and squares of the City, while a “full edition” will take place in the Cremona fair as part of Cremona Mondomusica on next September 30th and October 1st-2nd, with the same successful format that has characterized the event for all these past years, including the large exhibition of lutherie, import, vintage, publishing and accessories. 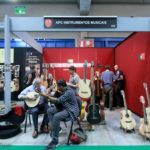 The best international luthiers and companies will be meeting up in Cremona to exhibit acoustic, classical and modern guitars of high quality, as well as accessories and the latest products in the sector, in a contest enhanced by the presence of the best lutherie for string and bowed string instruments. 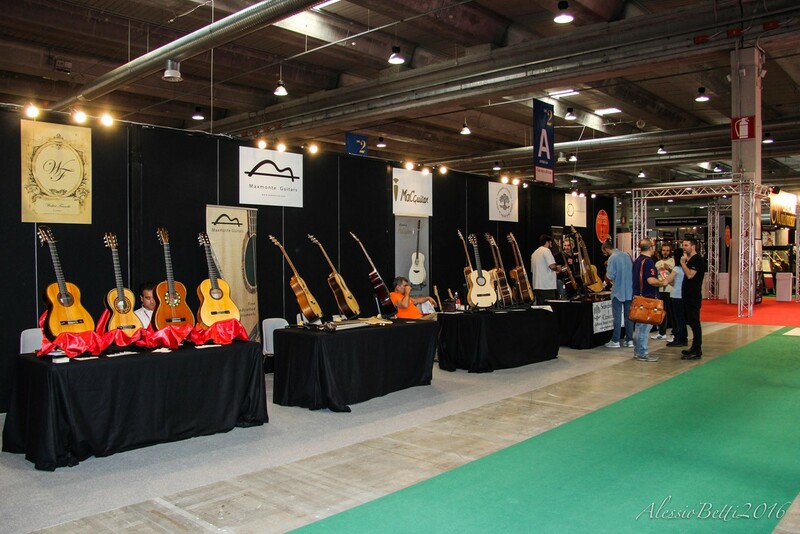 In the exhibition complex of Cremona, simultaneously with Cremona Mondomusica, Piano Experience and Cremona Winds, from September 30th to October 2nd, the ACOUSTIC GUITAR VILLAGE will present itself in its complete edition, offering a packed schedule of concerts and events, as well as the extensive exhibition of acoustic, classical and modern guitars and accessories. 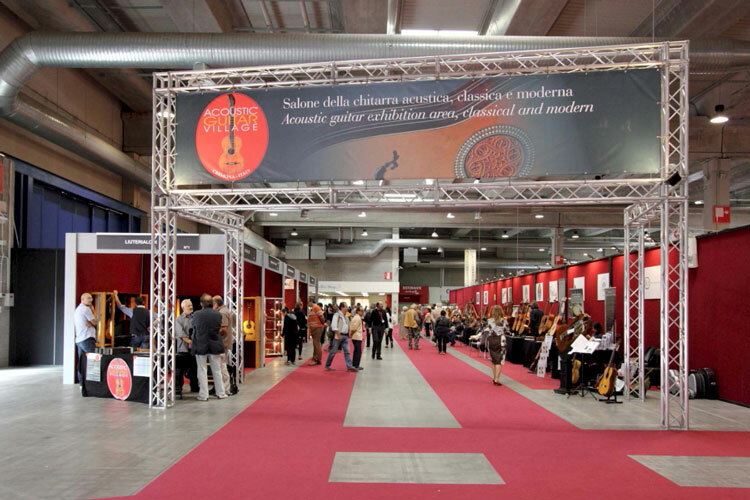 Cremona Mondomusica is the world’s most important event regarding high-level handicraft musical instruments, and it’s the most effective marketplace in the world for contemporary lutherie: a place where artistic and musical culture find an ideal stage to express themselves. 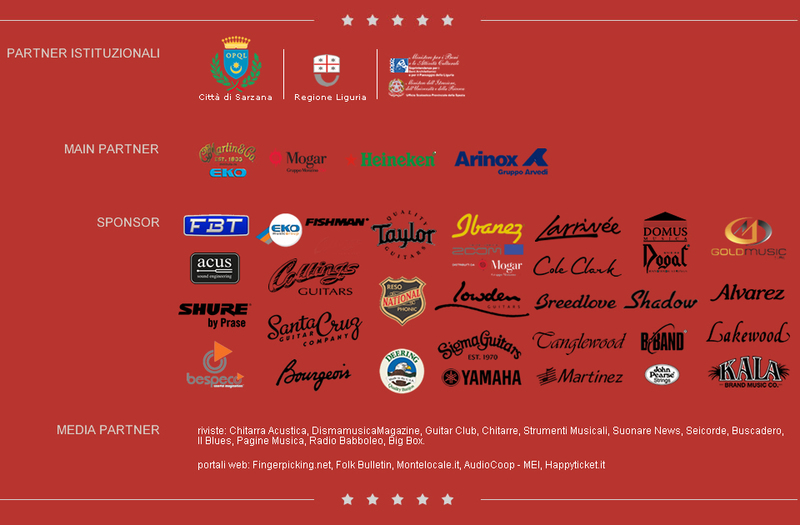 Thanks to the many partners and sponsors that make all of this possible and safe travel to all of those who will be coming in Cremona on September 30th and October 1st and 2nd ! 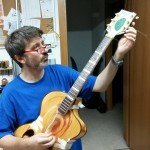 parameters and evaluations on the restoration techniques of plucked string instruments” curated by master luthier Leonardo Petrucci. 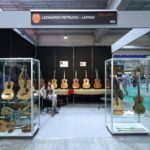 Pierluigi Panfili, born in Rome in 1964, begins as a child the study of classical guitar at the Conservatory of his city, soon discovering the passion for lutherie. 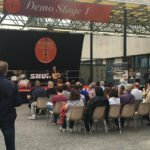 When he is only 14 years old he builds his first classical guitar and later, captivated by the „magical“ forms of the violin, he starts a slow but incessant learning of the building methodologies of string instruments, as an autodidact as well as a disciple of several masters mainly from the school of Cremona. 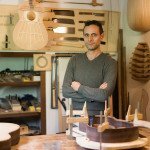 His interest and deep passion for Early Music lead him towards the study and the making of the lute, an instrument he devotes a lot of his energies to between the 80s and the 90s. 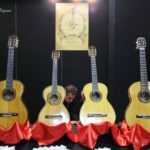 The classical guitar and the sweetness of its voice remain however his main interest: the constant search of the timbric/dynamic balance, of the authenticity of the voice and of the perfection of the shape strongly define his production, which consists in not more than 4 or 5 instruments per year. 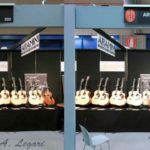 With more than 30 years of experience to his name and his all-round vision of lutherie, he decides to offer his knowledge to the new generations, founding in his hometown the Lutherie Academy of Rome, an association affiliated to the A.N.L.A.I. 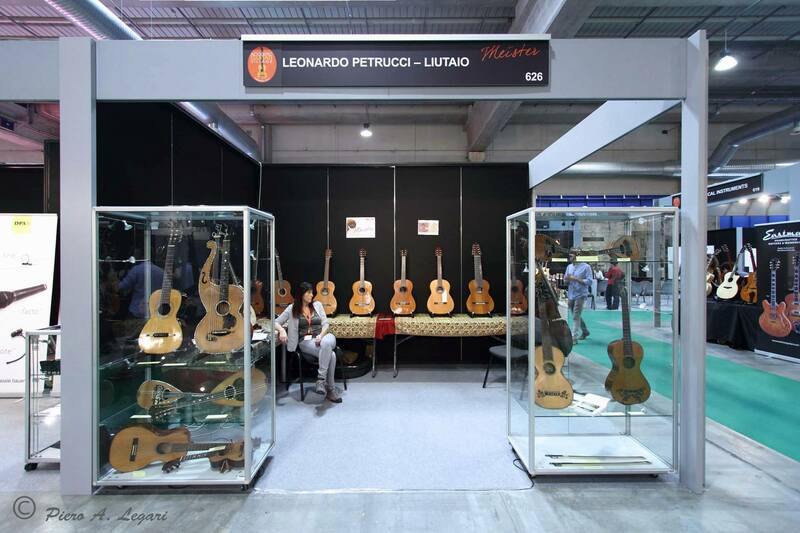 of Cremona, which aims to the diffusion of the art of Lutherie. 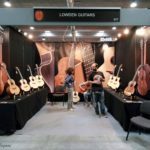 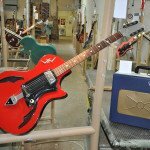 The spanish magazine “Guitar Fair Magazine” has recently dedicated an important article to him, underlining his great capability and recognizing his value both as a guitar maker and as a teacher in the art of buiding the instrument. 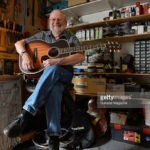 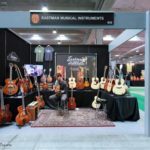 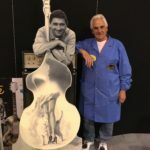 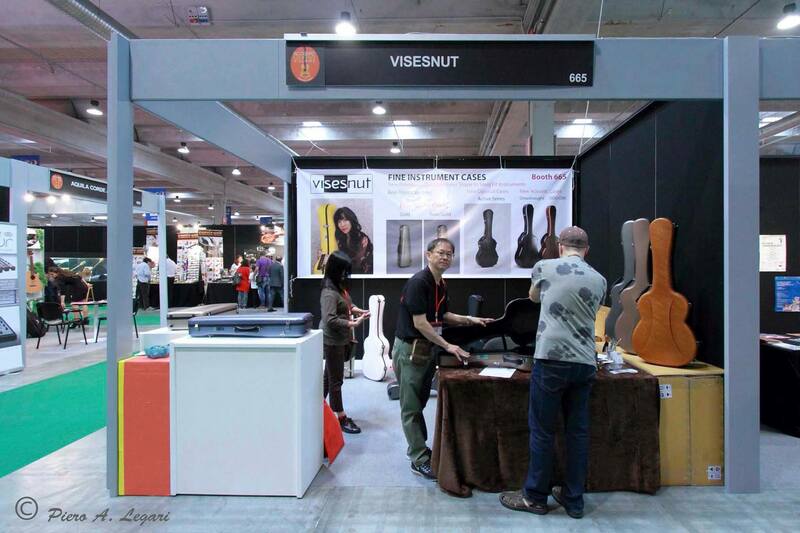 Michael Gurian is a major supplier of custom parts to guitar manufacturers worldwide and a builder of some of the most distinctive steel-strings to appear in a long time. 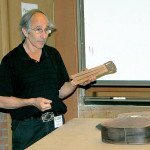 Born in 1943, a Brooklynite of Armenian descent, he took lessons on various instruments and developed a fondness for wood. 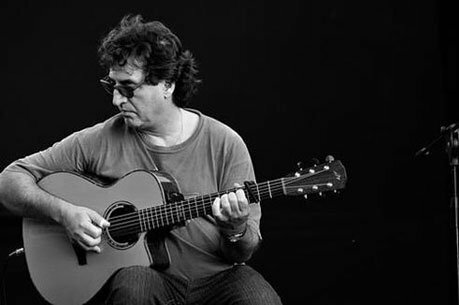 He later studied sculpture at Long Island University, took up classical guitar, and taught music in Roslyn, New York. 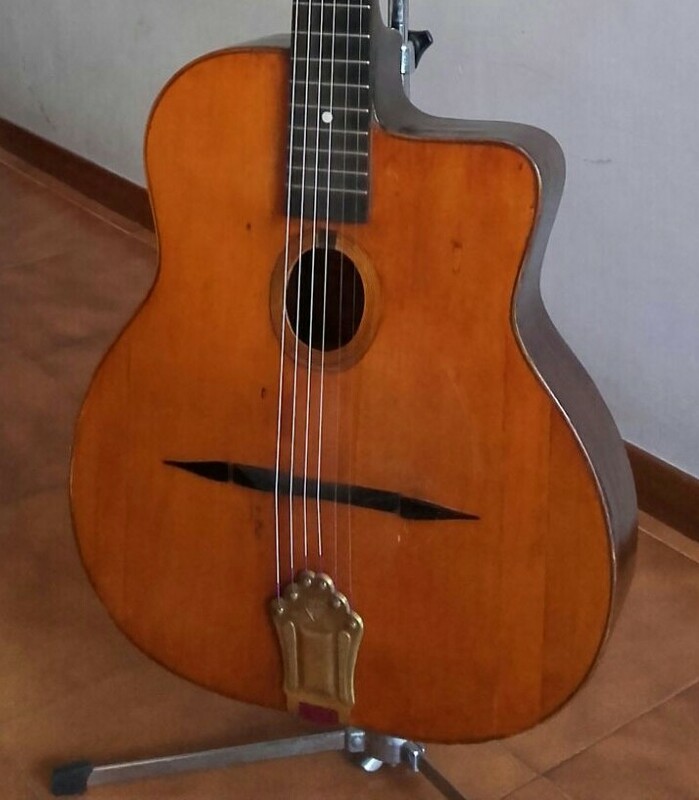 With his studio apartment for a workshop, Michael built his first guitar-a copy of a classical made by Victor Manuel Piniero, a student of Velasquez. 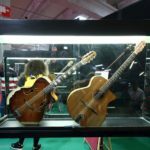 In 1965 he moved to a three-room shop in Greenwich Village, and with two assistants began building classical instruments. 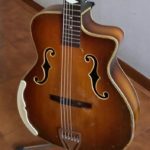 Traditional steel-strings were added four years later, and Gurian introduced his own distinctive body shapes soon after that. The company moved to Bedford Street and then Grand Street, his crew of builders growing to 15. 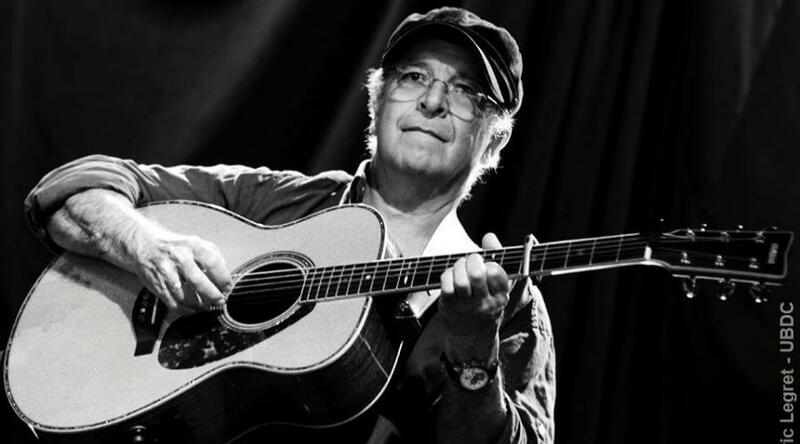 In 1971 he relocated in Hinsdale, New Hampshire, because of that state’s favorable business climate. 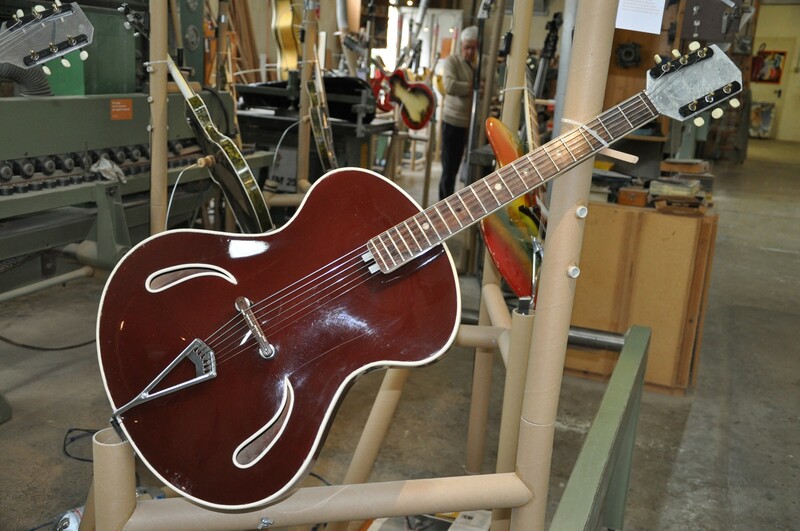 Vintage retailer Matt Umanov encouraged him to build a cutaway, and he did. 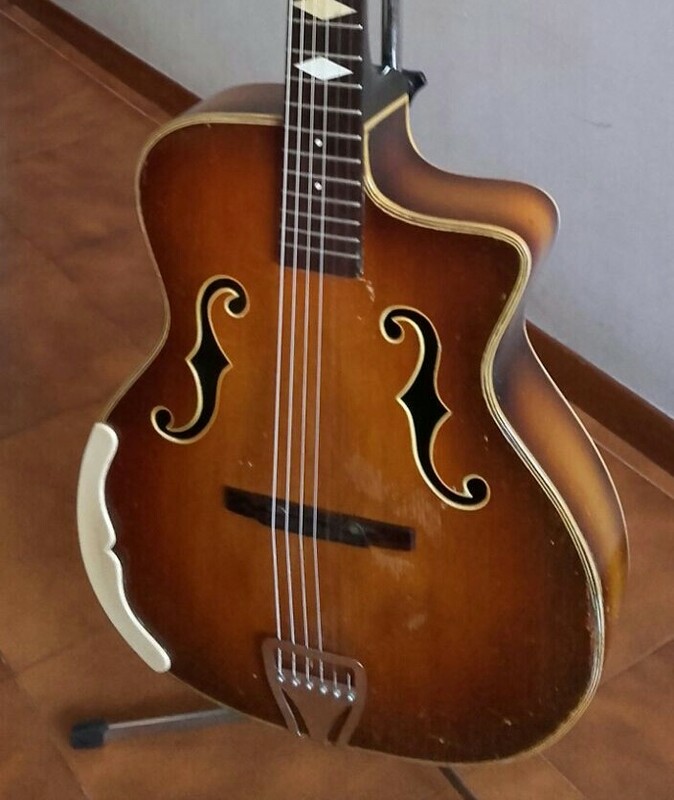 It became a regular member of the line. 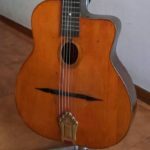 A terrible 1979 fire resulting from a boiler explosion destroyed not only all of Gurian’s guitars but also his tooling and machinery as well. After the half-million-dollar loss he rebuilt and grew, recovering with remarkable perseverance from a defeat that would have sent a lesser person back to guitar teaching for good. 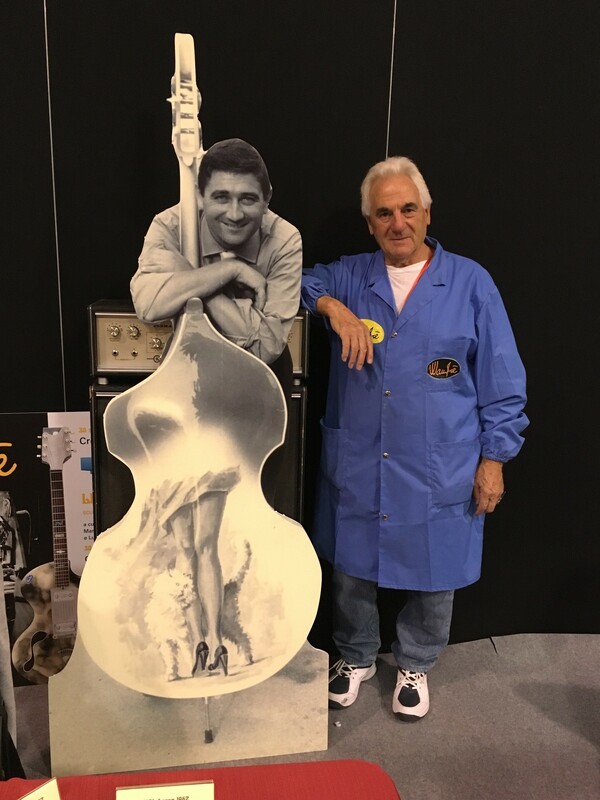 By late 1979 Gurian was employing over two dozen people and servicing nearly 200 dealers worldwide. 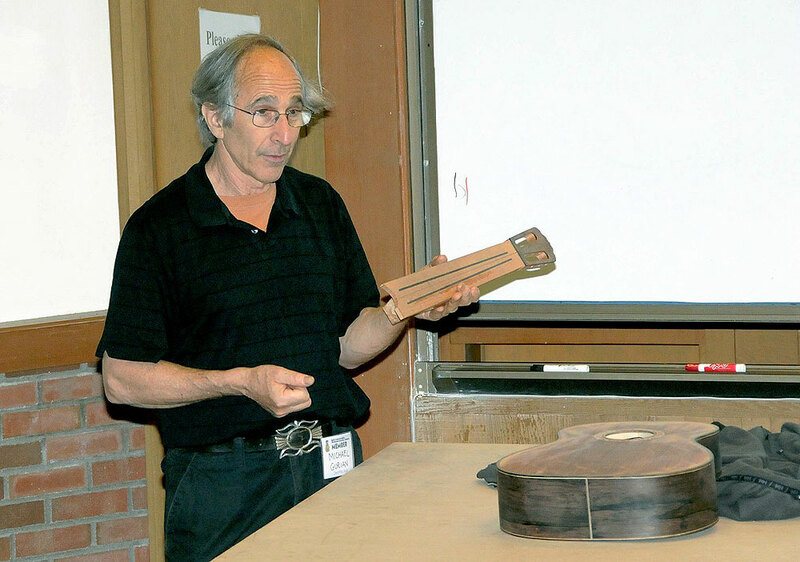 Gurian’s background as an expert with old-fashioned techniques manifests itself in his instruments, whose unusually rounded bodies are most appealing. 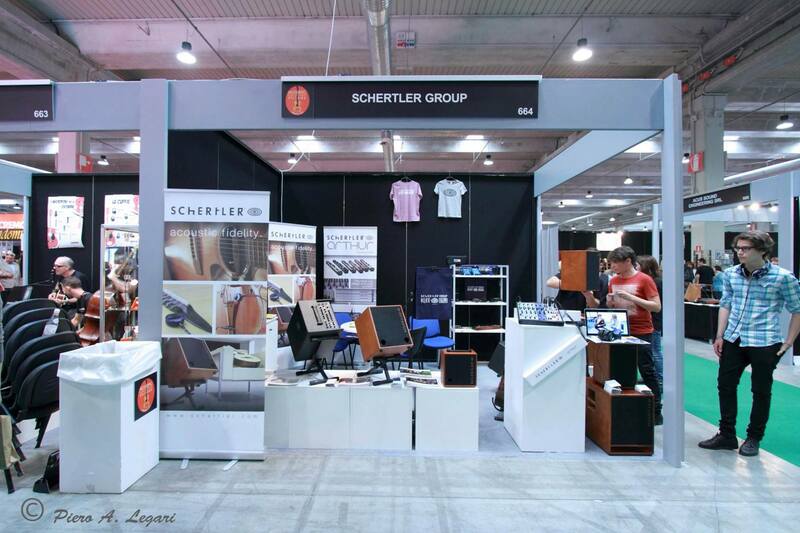 They combine classical appointments and modern interior construction; the tone is bright and strong. 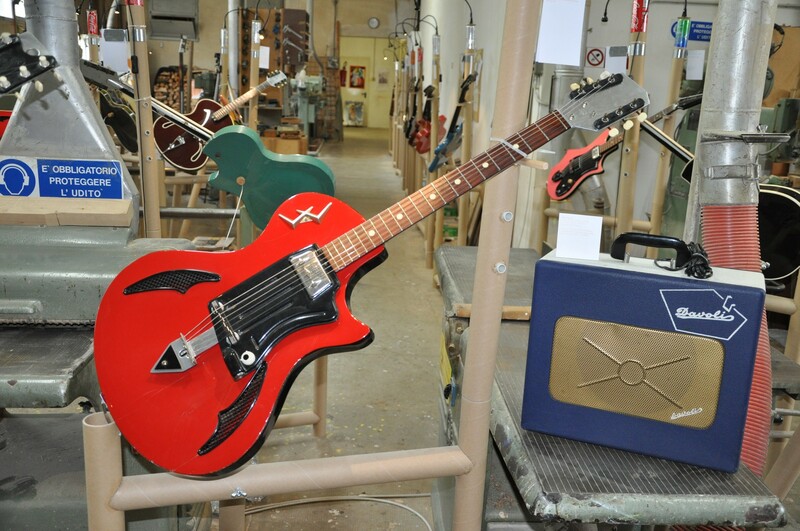 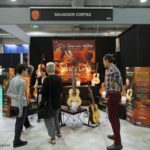 Jean Larrivée began his career as a guitar pupil of Robert Neveu at the Royal Conservatory of Music, and as a guitar builder in mid 1960s with Edgar Monch, a german luthier based in Toronto. 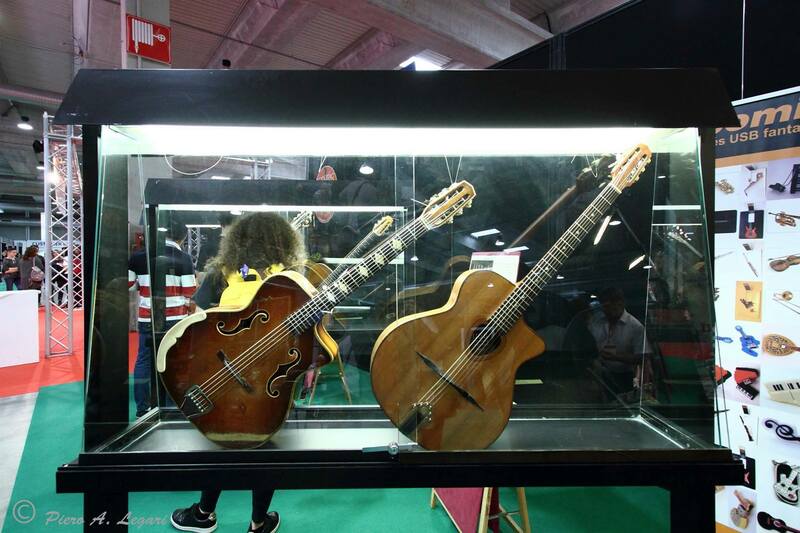 Larrivée has also worked in New York with Manuel Velasquez before opening in 1968 his own laboratory in Toronto. 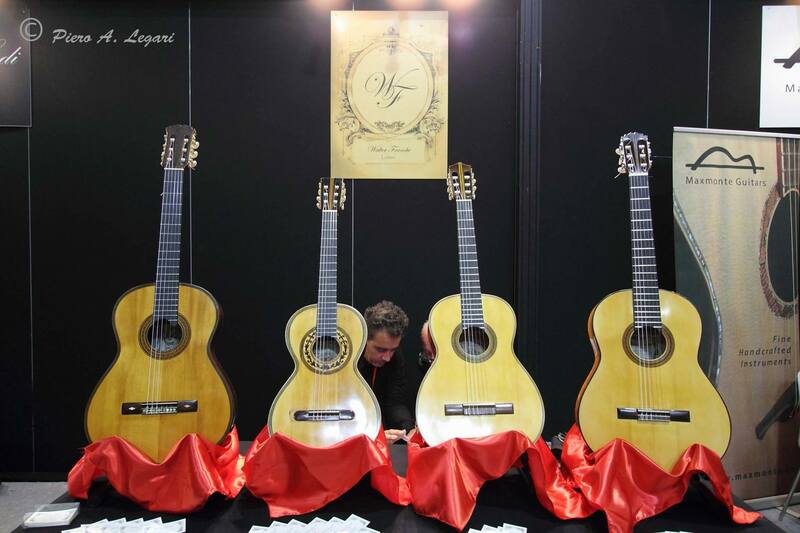 His first creations were based on projects and designs of classical guitars of European origin and the production reached around 30 instruments per year. 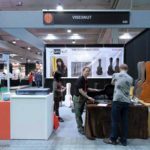 Then, under the lead of Matt Uzmanov of New York, in 1970 he began building steel stringed instruments, modifying the design of Martin guitars and producing original guitars, recognizable by shapes, inlays and sound: his touch and his experience in building classical guitars has granted him an absolutely personal and efficient building method in the bracing of the sound board. 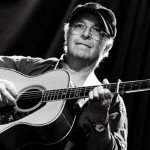 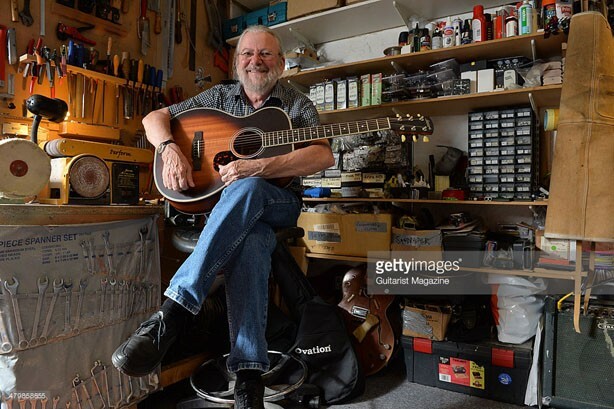 In 1977 he moved to Victoria, British Columbia, where he founded a laboratory, which in 1979 counted 16 workers and an annual production of 1000 guitars. 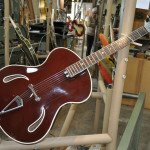 Then again in 1982 he moved the company, J. Larrivée Guitar Ltd, north of Vancouver and subsequently produced mainly steel string guitars with variously shaped and sized bodies, but also double basses. 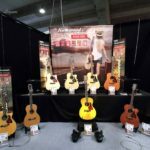 In 2001 he opened a second factory in Oxnard, California, where he located the production of gloss-finished acoustic guitars. 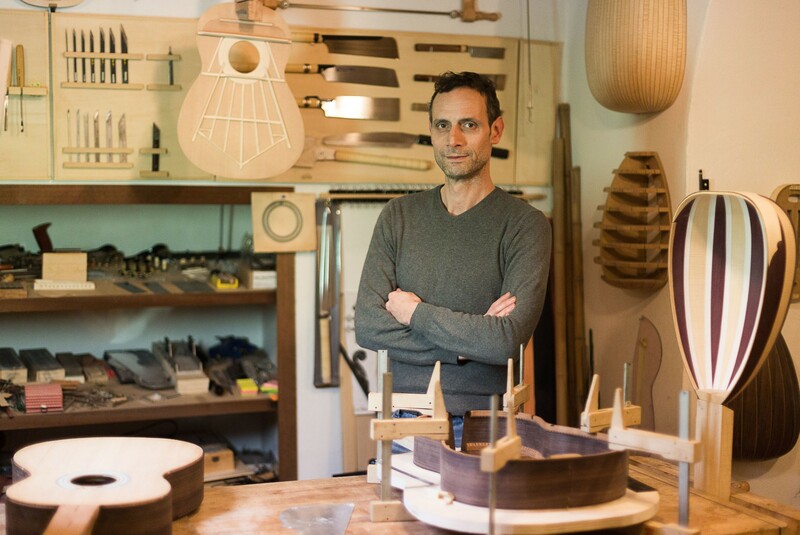 His son, John Larrivée Jr., directs the Vancouver based factory, which produces the instruments with satin finish. 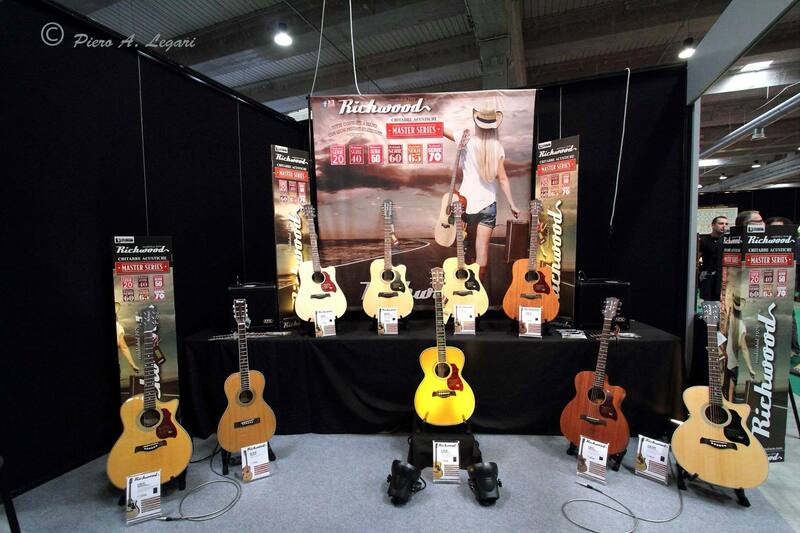 Fine expert of tonewood for lutherie all over the world, Jean Larrivée is a master in recognizing the resonance of the types of wood selected for sound boards, and he is nowadays considered one of the best luthiers of contemporary acoustic guitars, with a solid background of knowledge of the history of the guitar from its origins. 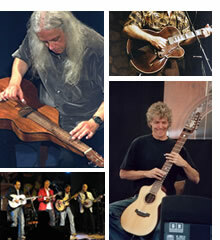 Among his first apprentices are Sergei DeJonge, George Grey, Grit Laskin, Linda Manzer and David Wren. 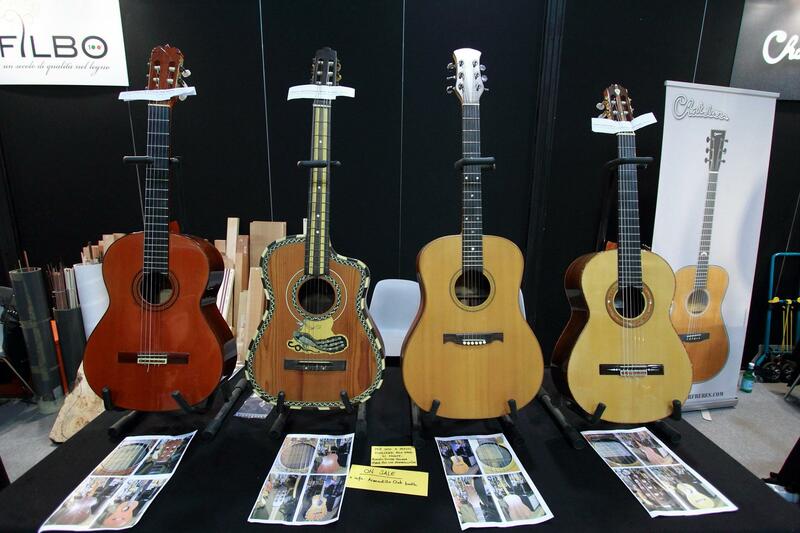 “Acoustic guitar construction, from the early methods of hand building to the present as well as current modern production methods from the hand builder to the factory, the tools (hand and machine tools) involved and the jigs used for costruction”. 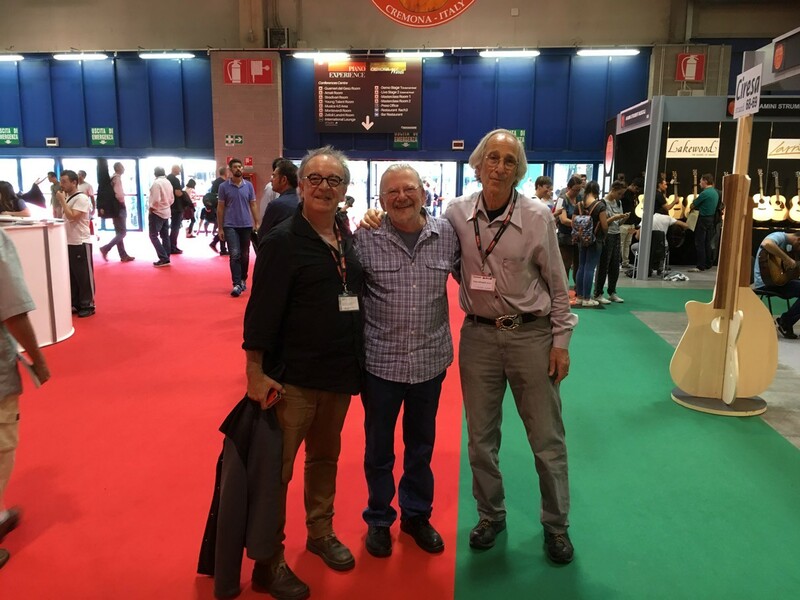 – It will be discussed the wood and how Jean Larrivée goes about finding it, travelling all over to find it and to select every single piece by handpicking personally. 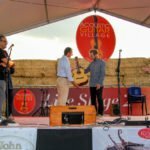 Soïg Siberil is today universally recognized as one of the main Breton guitarists, as well as one of the biggest experts on open tunings for guitar, used by most “celtic” guitarists. 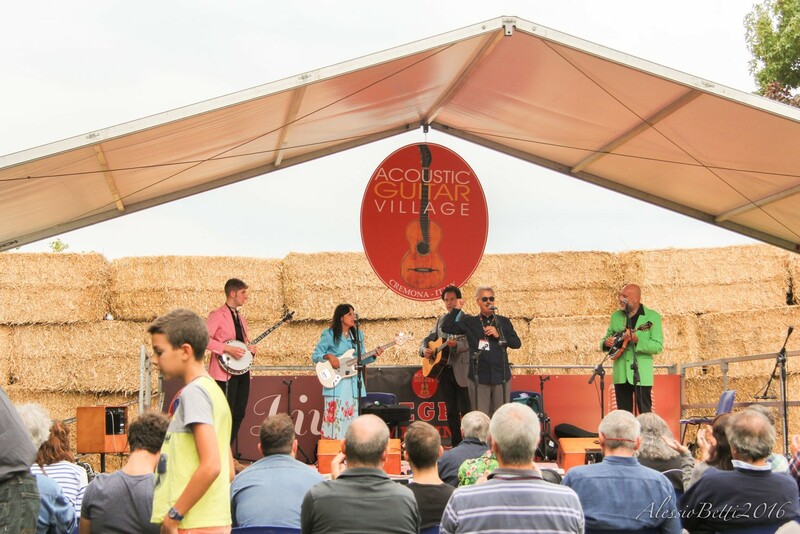 He’s been a prominent musician since the mid 1970s, and thanks to his numerous artistic experiences and his involvement in various ensembles (Sked, Kornig, Gwerz, Pennou Skoulum, Den, La Rouchta) he is able today to perfectly fit the challenging role of the composer of traditional music. 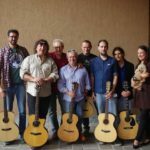 Siberil’s art is known today around the world: the breton guitarist performs regularly all around Europe as well as the United States, and one of his merits is undoubtedly his significant contribution to the international diffusion of traditional breton music, also through an intense didactic activity and the transcription of his compositions. 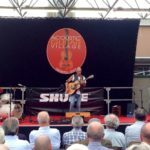 – Analysis of “Ton Jean Marie Plassart”: traditional melody arranged in fingerpicking from the village of Poullaouen in central Brittany, where people speak Breton. 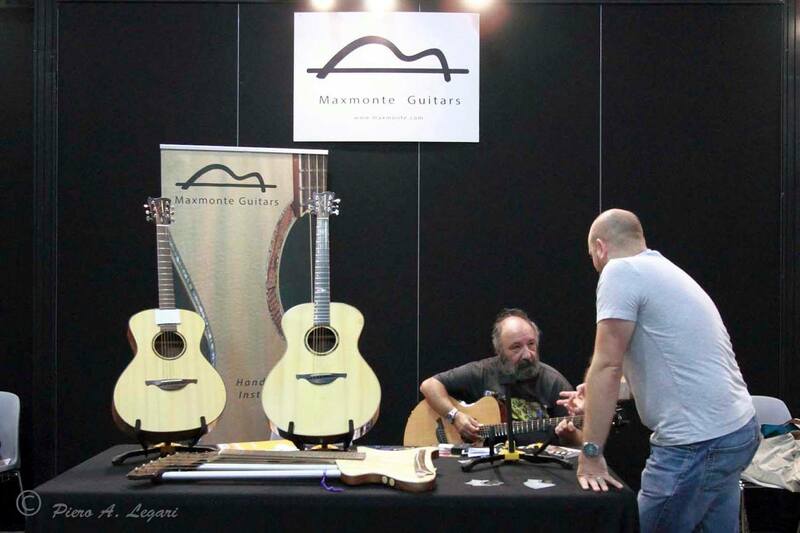 Franco Morone is one of the main exponents of the international guitar scene. 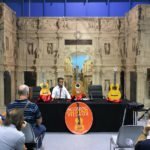 He plays concerts all around the world and his didactic texts are utilized by teachers and enthusiasts both in Italy and abroad. 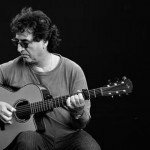 In his masterclass Franco will illustrate the traditional and contemporary techniques for fingerstyle guitar, also talking about arrangement and composition. 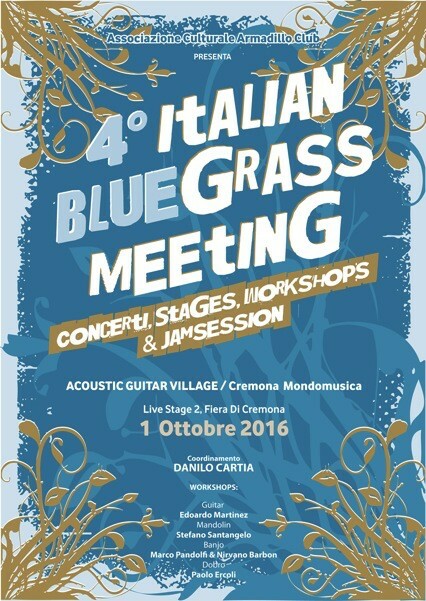 Through examples from the Blues, Jazz and italian folk repertoire, he will compare different musical languages interpreted with the acoustic guitar. 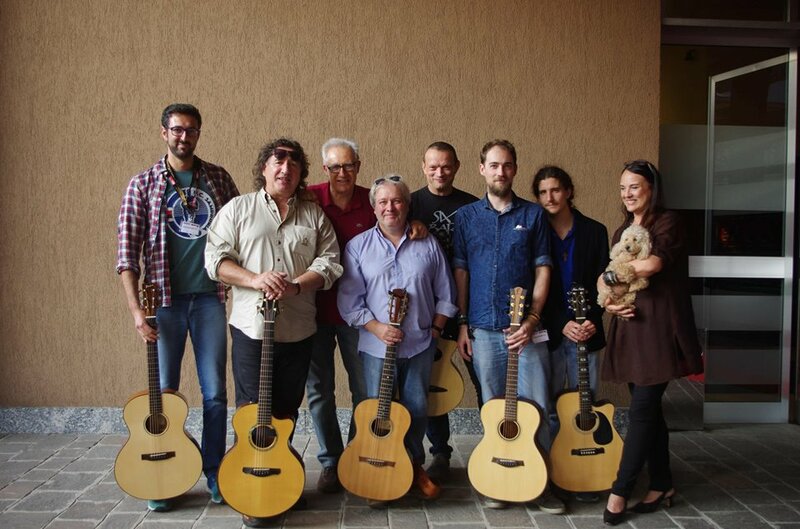 Among the many guitarists that have attended courses held by Franco, today some of them have concert and didactic activities, while others maintain a solid foundation on which they have developed their technique and musicality. 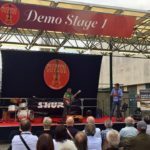 – Standard tuning: “Le Meglio Storie con la Mia Chitarra”: melodic and harmonic analysis, accents on bass-line and melody; second part crosspicking guitar. 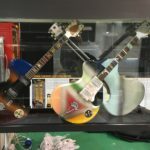 – “My Grandfather’s Clock”: melodic and harmonic analysis, alternated bass, accents on bass and melody; second part counter-melody guitar and third part rhythmic guitar – examples of simple improvisation using the pentatonic and the blues scales. 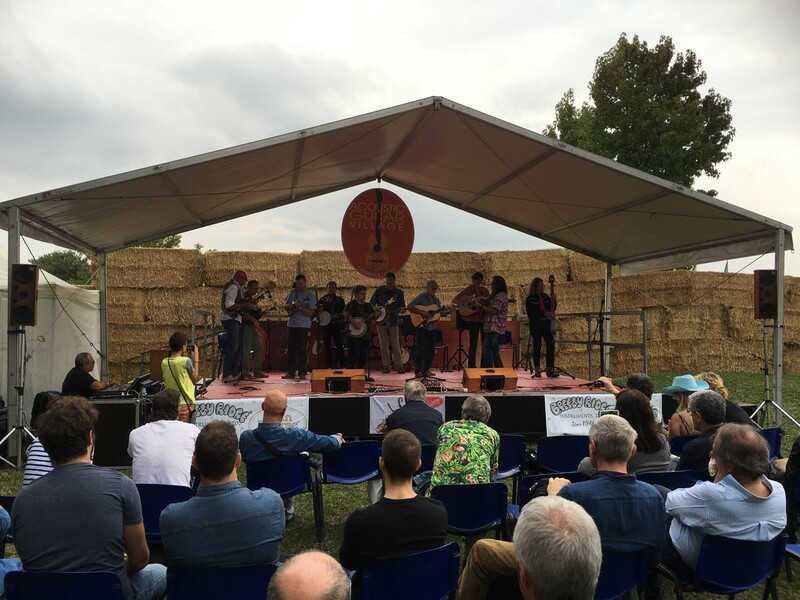 – EADEAE tuning: “Tarantella” (from the Abruzzo area): melodic and harmonic analysis, rhythmic pattern of the bass line from downbeat to upbeat. 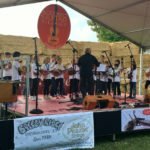 Differences and analogies with the irish jig. 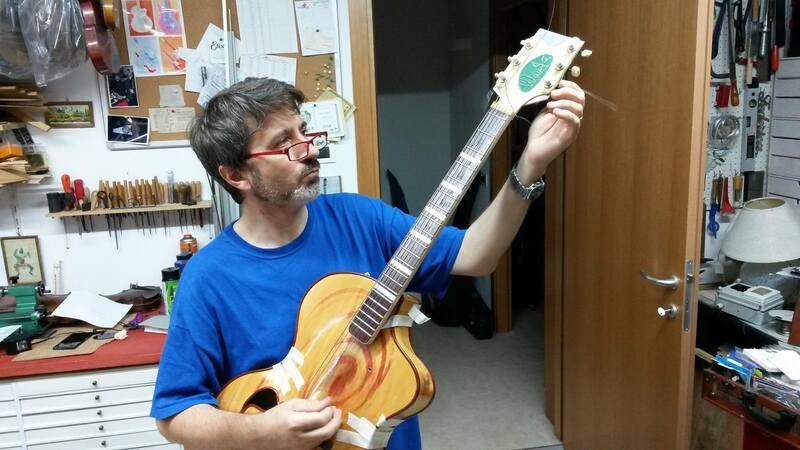 – DADGAD Tuning: “Saltarella”: modulation from D to G, the two important keys of DADGAD. 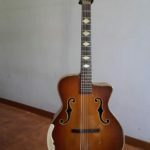 – Standard tuning: “Slow Picking Blues”: composition arranged including obstinate bass, alternated bass and walking bass. 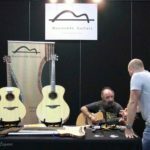 – Standard “Georgia”: how to build a fingerstyle arrangement starting from melody and chords. 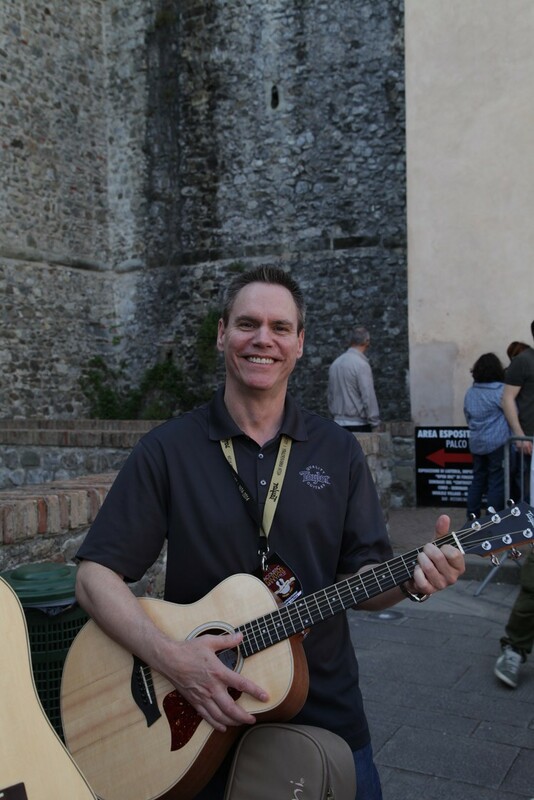 – Standard “Smile”: how to build a fingerstyle arrangement starting from melody and chords. 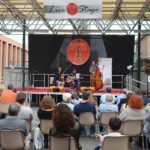 – Crazy Basses, swing and prepared improvisation. 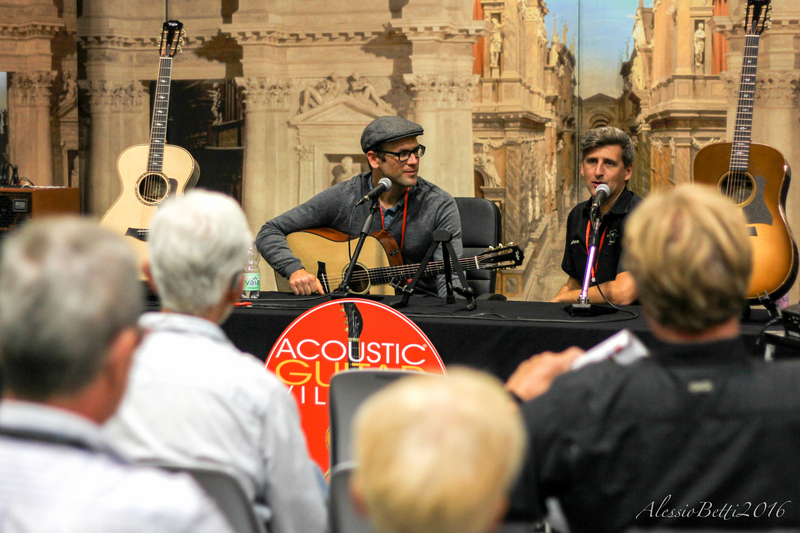 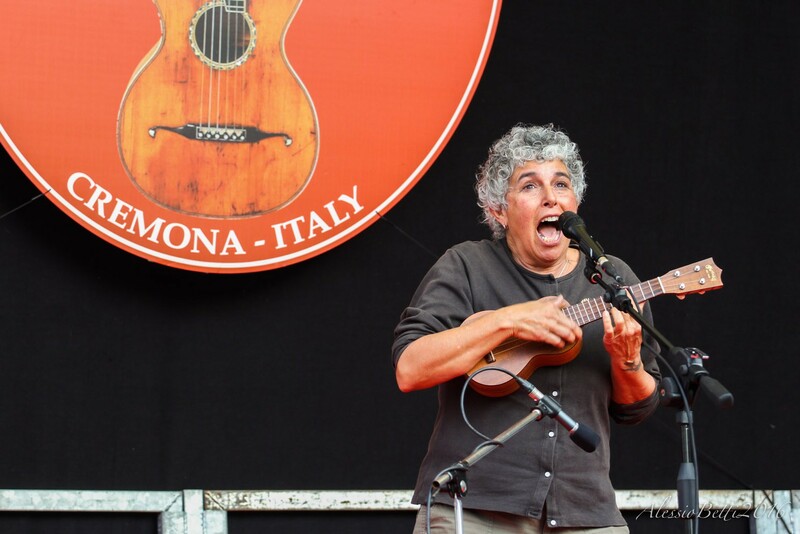 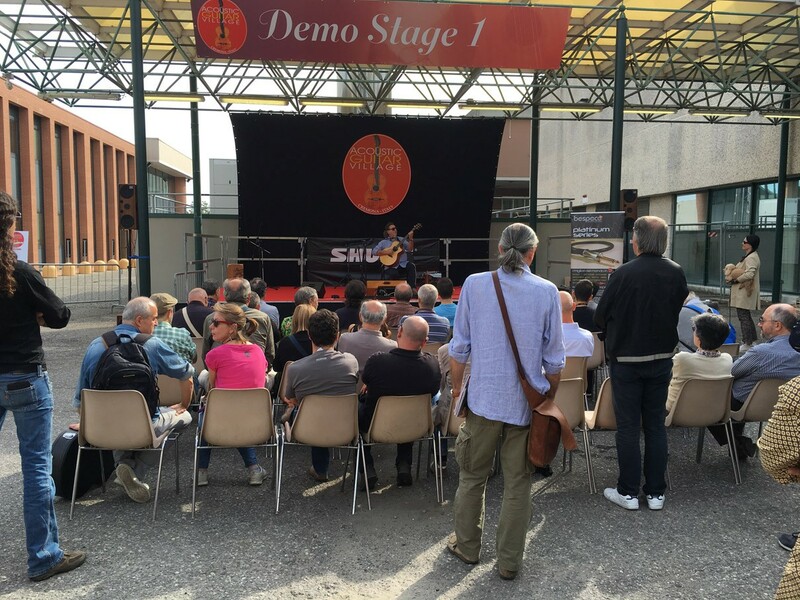 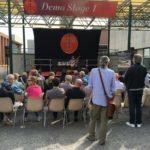 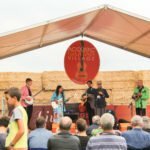 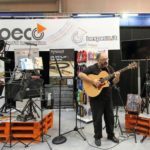 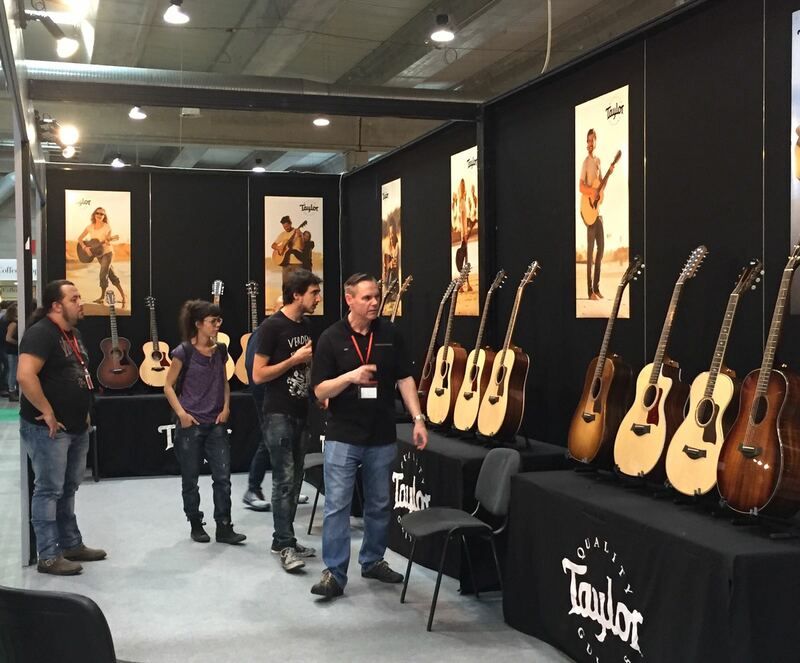 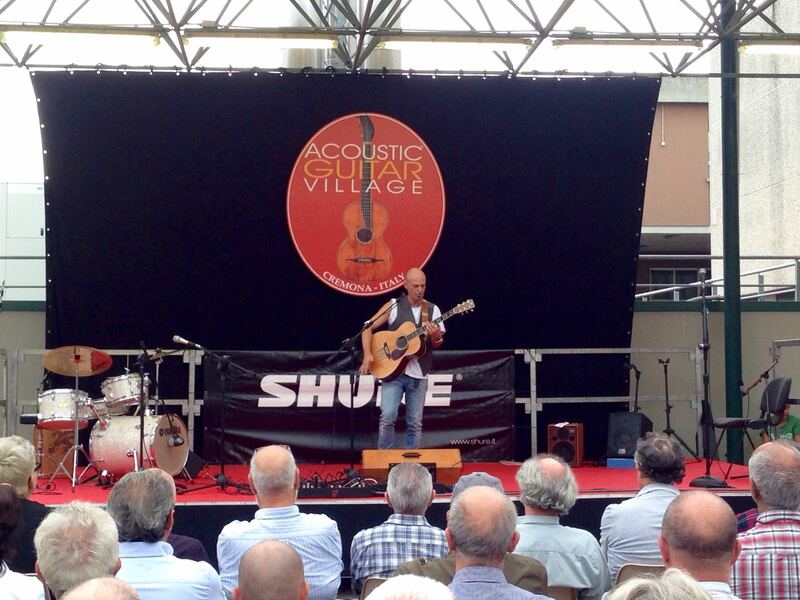 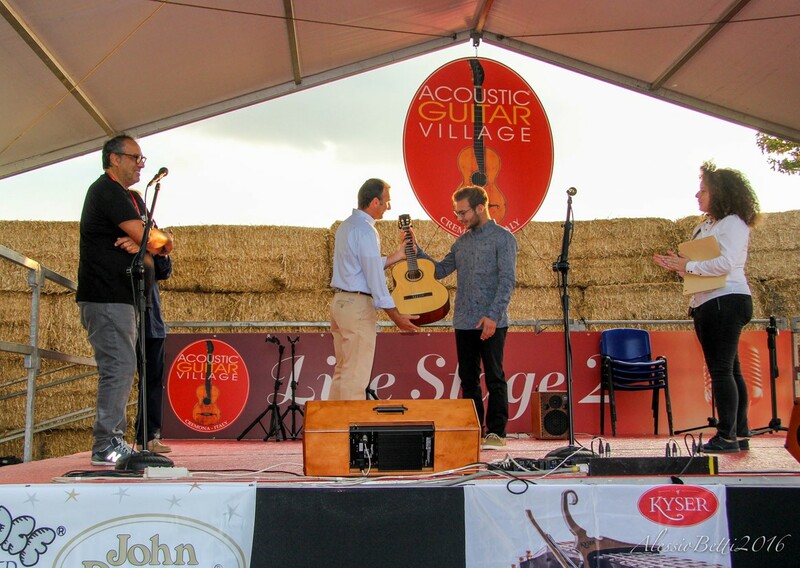 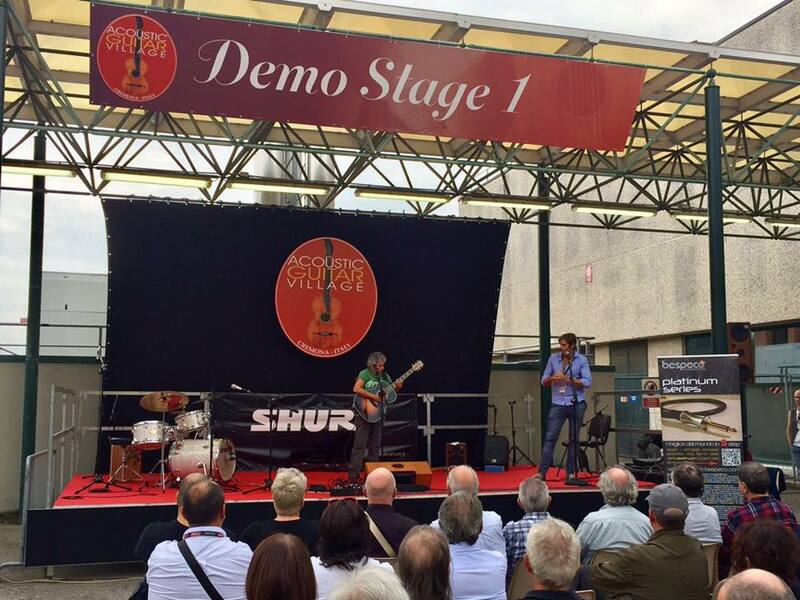 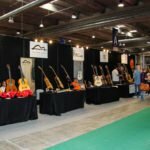 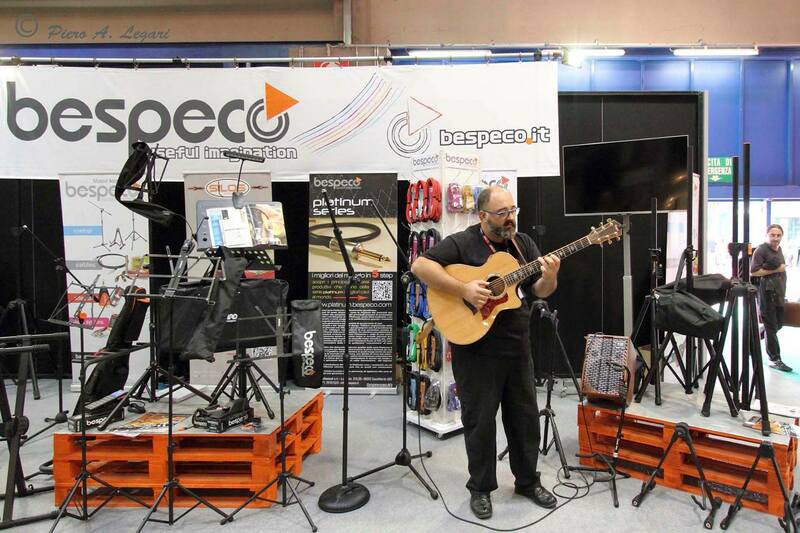 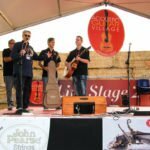 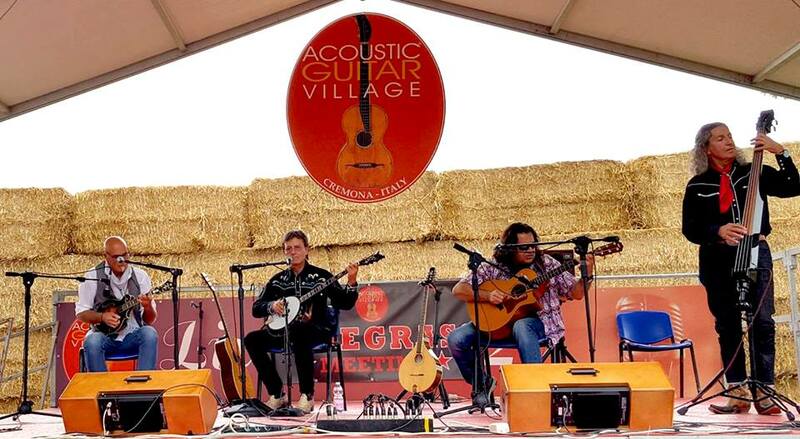 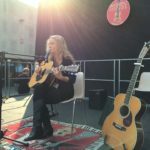 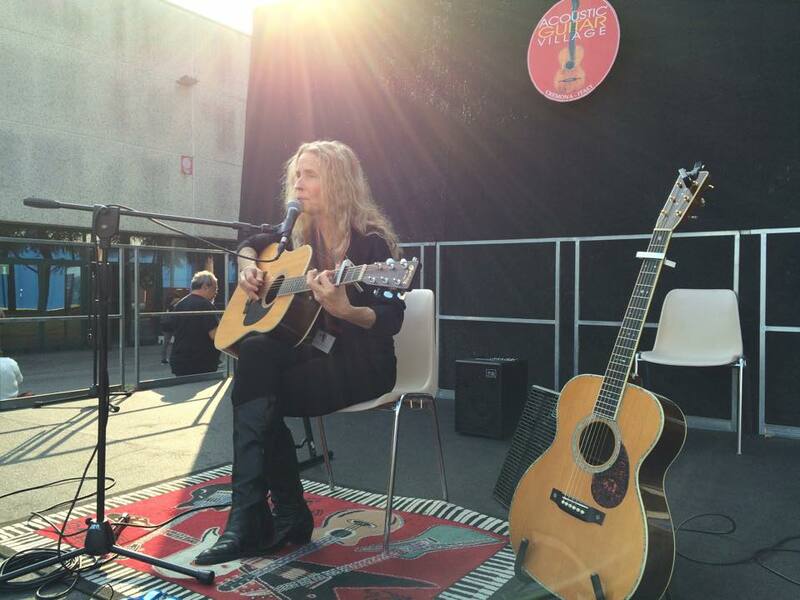 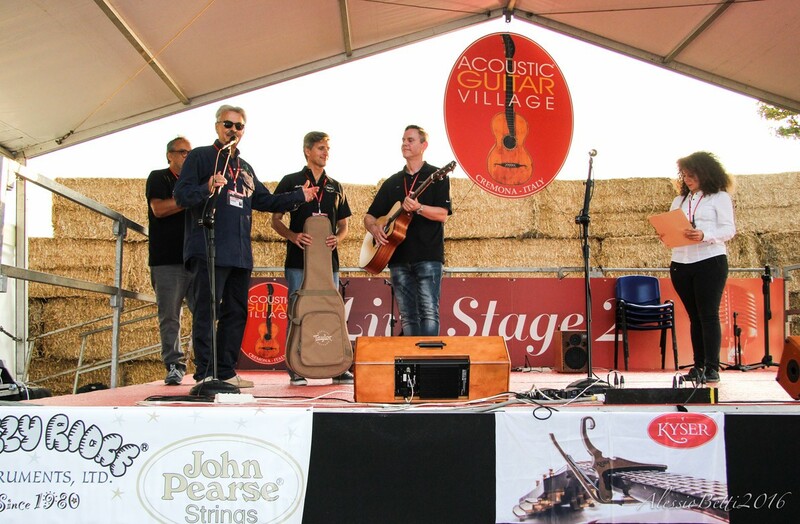 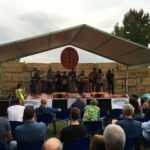 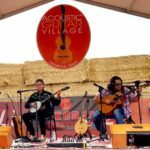 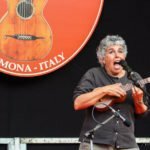 REPORT OF THE SUCCESS OF THE ACOUSTIC GUITAR VILLAGE – CREMONA 2016! 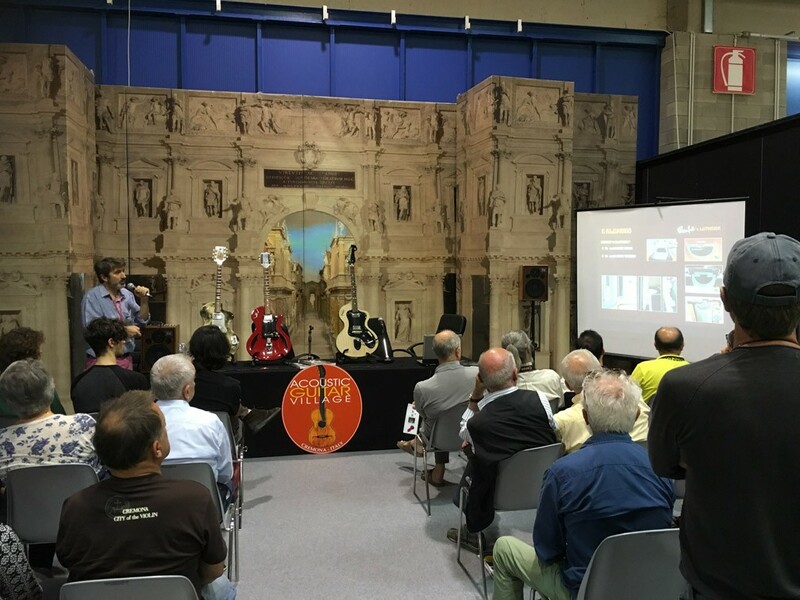 We have spent all together three wonderful days, concluded with satisfaction and smiles from every participant: exhibitors, musicians, journalists, experts in the field and us organizers, who had the hard job to not let anyone miss the 18 years history of the Acoustic Guitar Meeting of Sarzana. 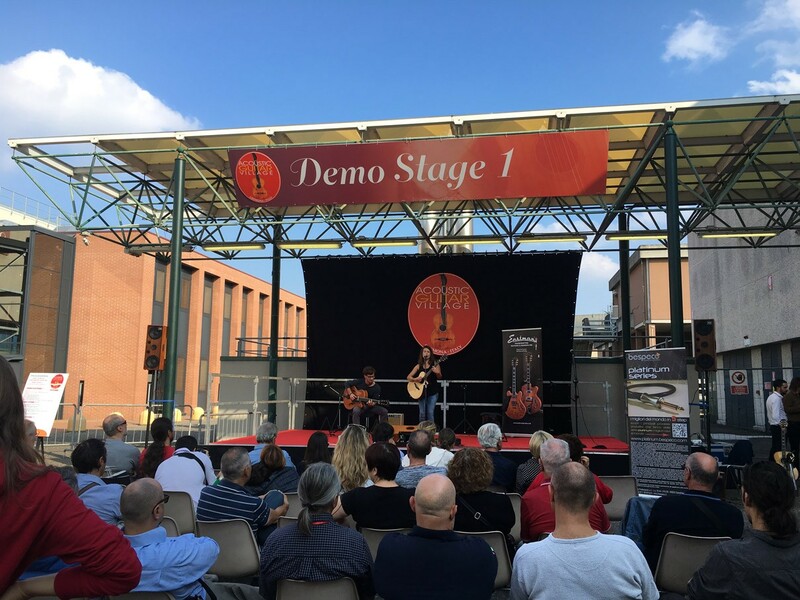 We can say today, at the end of this 2016 edition in Cremona, that we definitely reached our goal and that the journey that began in 1998 is continuing without interruption. 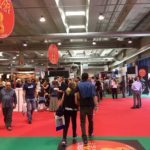 It certainly isn’t easy to replace a location like a 15th century fortress, nevertheless the display of stands, the atmosphere, the quality and number of the events taking place, the variety of contacts and exchanges and the deals made were all of high level, as expected in the international fairs of the sector. 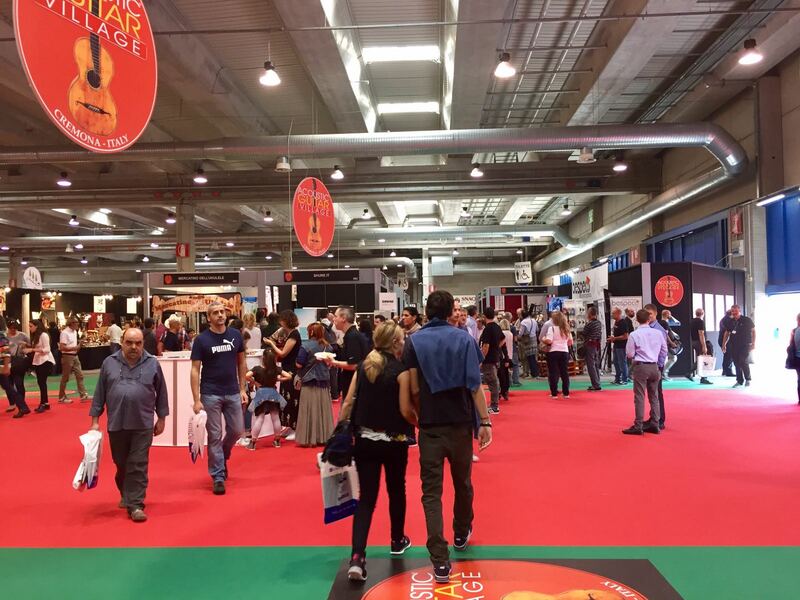 Internationality and the further growth of the event are in fact the objectives we are setting for the coming years. 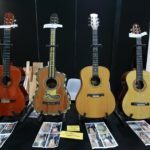 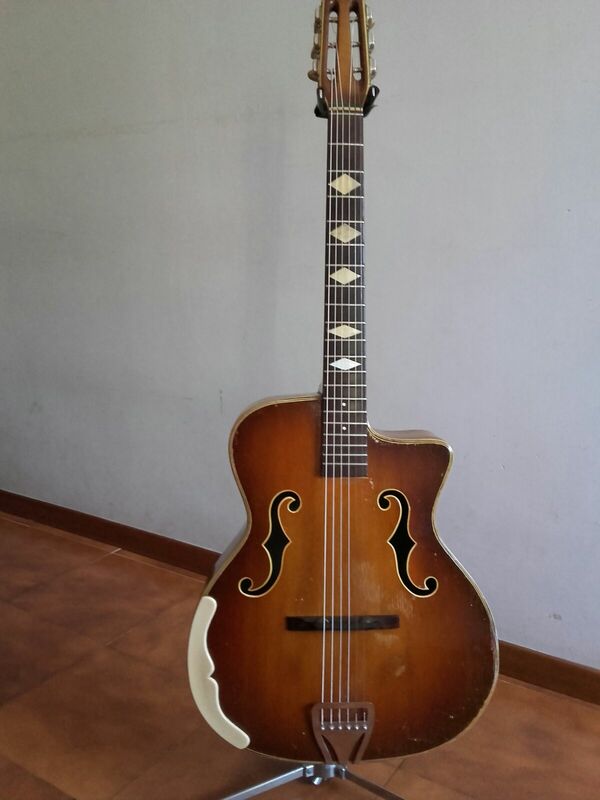 The presence of many luthiers as well as big companies such as Martin, Taylor, Collings, Larrivée, Eastman, Lowden, Mayson, Fender, Guild, Lakewood, Acus-sound, Schertler, Bespeco, Shure and all the others, has already added great value to this edition. 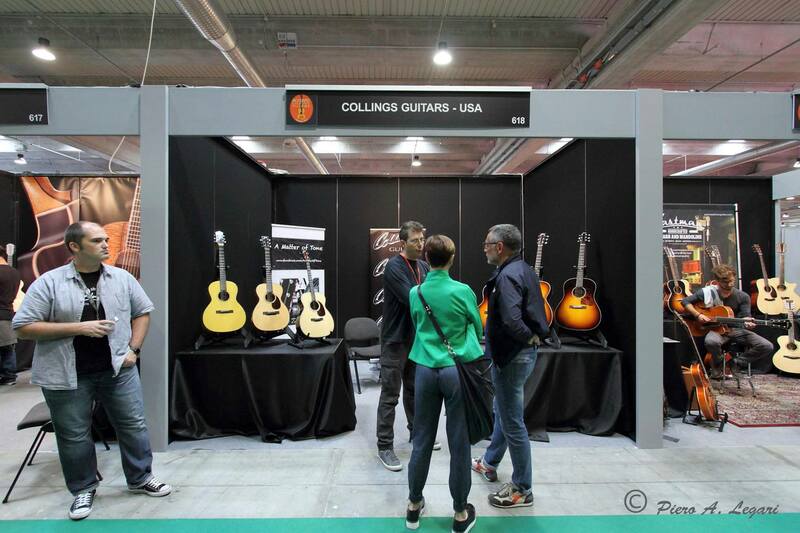 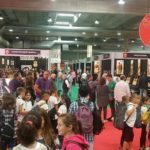 This without counting the many important attendants passing through the aisles of the exhibition, from owners of said companies to collectors and experts, both American and European, builders and luthiers visiting to see the value of the event in the prospect of participating in the future. 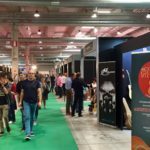 We received for instance the compliments of a very interested and pleasantly surprised Amalia Ramirez, who already expressed the will to be present as exhibitor next year in the 2017 edition. 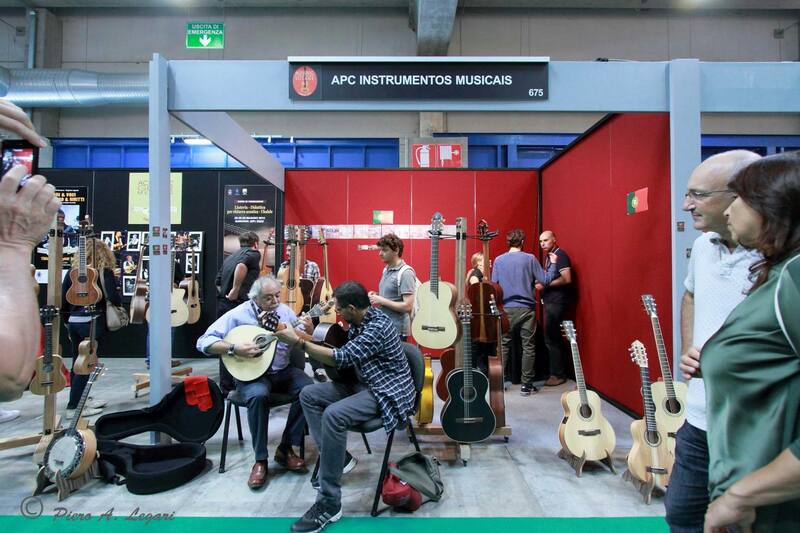 All the stands have actively participated in the success of the event, being gathering points for meetings, lectures and demos of the instruments. 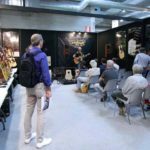 How to forget the beautiful and big Martin Guitars stand, which continuously offered high level perfomances and workshops, with the presence of the lovely and talented American musician and Martin ambassador Diane Ponzio. 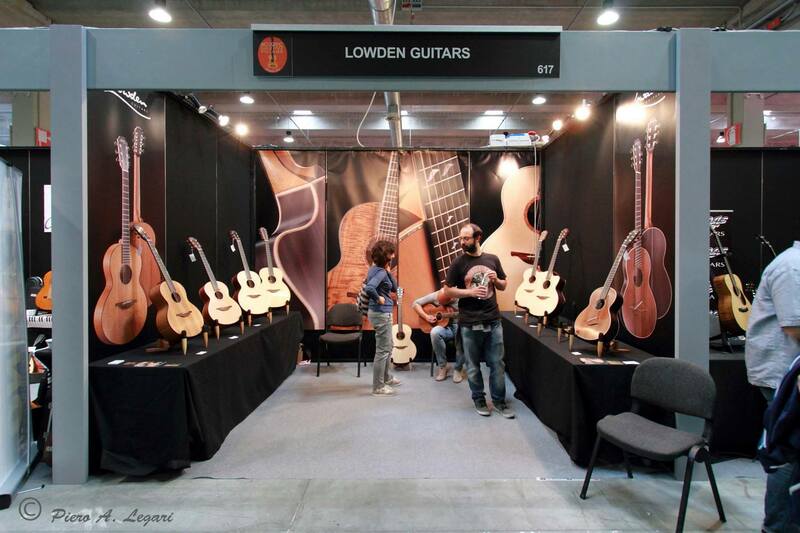 Superb were the instruments exhibited by the many luthiers in the dedicated area “Luthier’s Row”, specially conceived for them, both to reduce the costs and to give them a more reserved and uniform space, which housed artisans ad builders of classical and modern guitars, coming from Italy, Europe and from America. 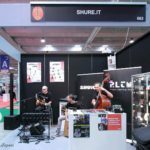 After this year’s experience we are already planning improvements for next year’s edition, like, for instance, soundproof booths to try the instruments undisturbed and the ban of any amplification in that special area. 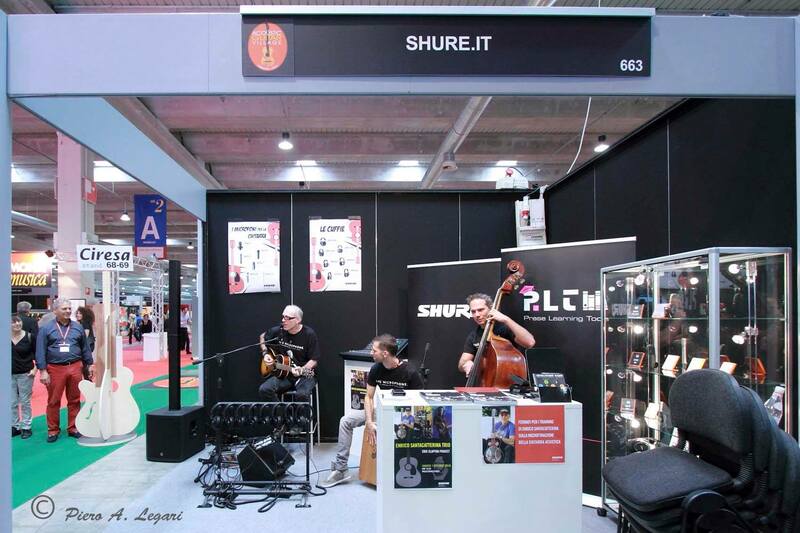 The care and elegance of the stand’s production have definitely contributed to the creation of an ideal atmosphere in which to walk around and closely observe the numerous, beautiful instruments exhibited; a special thanks goes to the Fair of Cremona, to the Management and to its staff, always professional, friendly and ready to solve any possible problem. 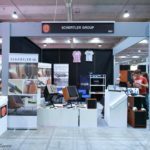 With this attitude towards work and attention for details we are sure to reach important goals in the future. 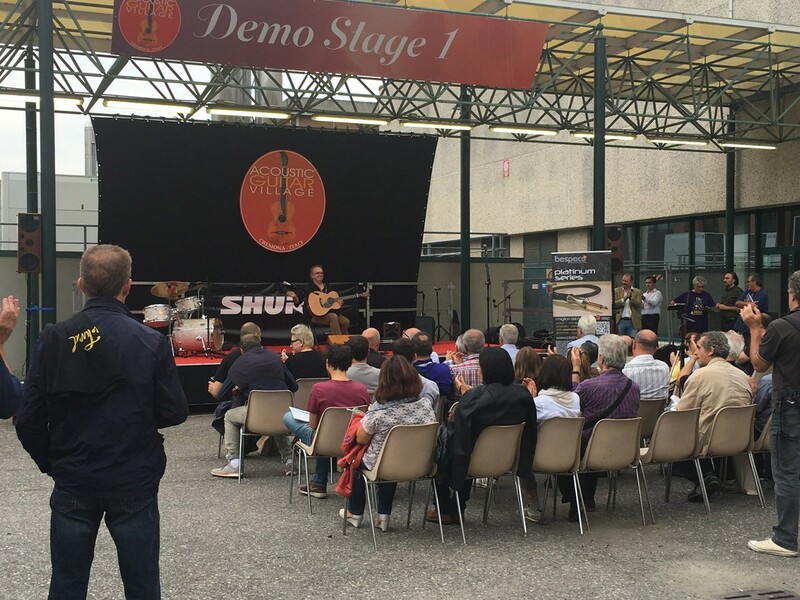 The same care and attention could be noticed in the two outdoors stages just outside the pavilions, which presented themselves to the public with nice visual elements, while dozens of musicians and bands, guitar players as well as other instruments, alternated themselves offering an incessant show for the whole three days, earning the appreciation of the guitar lovers but also of the visitors who had come for the other areas of the fair, dedicated to pianos and violins. 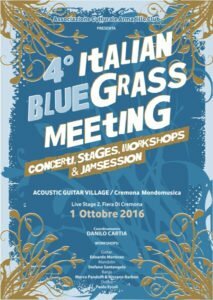 A special mention goes to two events: the contest for upcoming artists “New Sounds of Acoustic Music”, dedicated to the memory of the late songwriter Stefano Rosso, which has recognized and awarded young musicians and bands with instruments offered by Taylor Guitars, Aramini, John Pearse Strings, Kyser capos and Acus-sound amplifiers, and to the 4° Italian Bluegrass Meeting, which marked the entire day of Saturday, turning into an unforgettable event, recognized by participants and public as the best Bluegrass Meeting thus far. 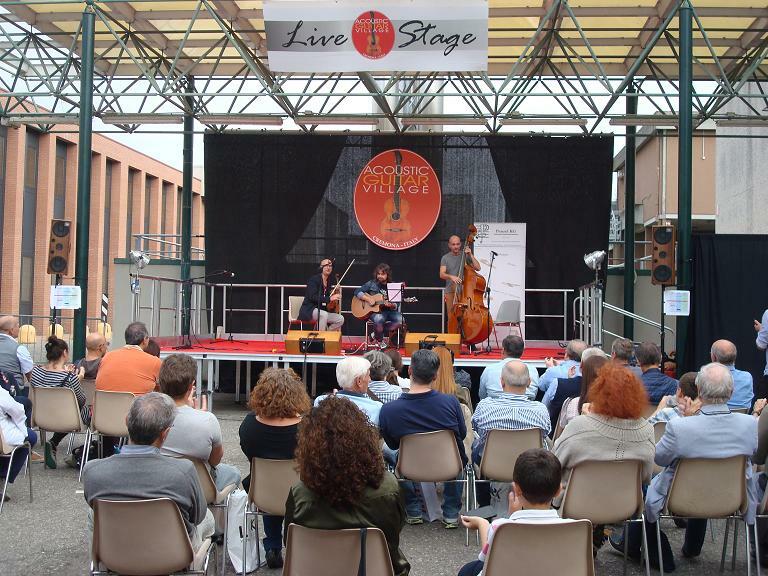 From 10.00 am to 7.00 pm, 18 bands alternated themselves seamlessly on the Live Stage, with a total of 75 musicians, both Italian and foreign, all talented and energetic, who had fun and entertained the public, ending the day in various bars in Cremona, where they brought the same enthusiasm and music. 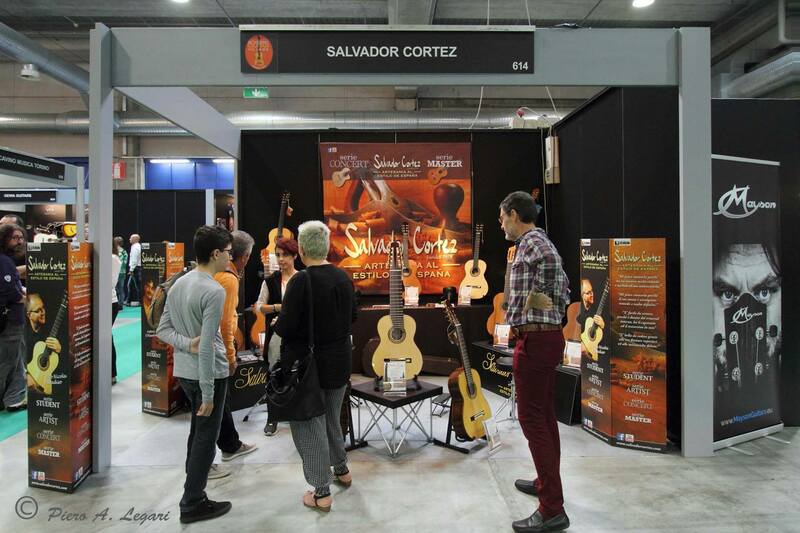 As organizers, we want to thank the banjoist-guitarist Danilo Cartia for his attentive and precise coordination work. 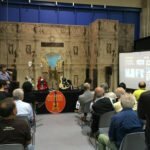 The three days have begun with the masterclass of lutherie, lead by the masters Pierluigi Panfili, Michael Gurian and Jean Larrivée, and the masterclass of didactics for guitar, lead by the masters Soig Siberil and Franco Morone. 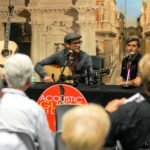 The 20 people who signed up were treated to a full three days of high level lessons about building techniques and how to choose tonewood, and about guitar styles and techniques. 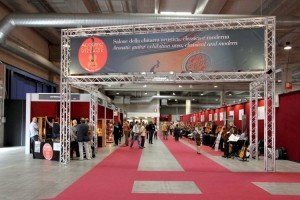 This has become through the years an important moment, that some people attend edition after edition, so it will take place in 2017 for sure. 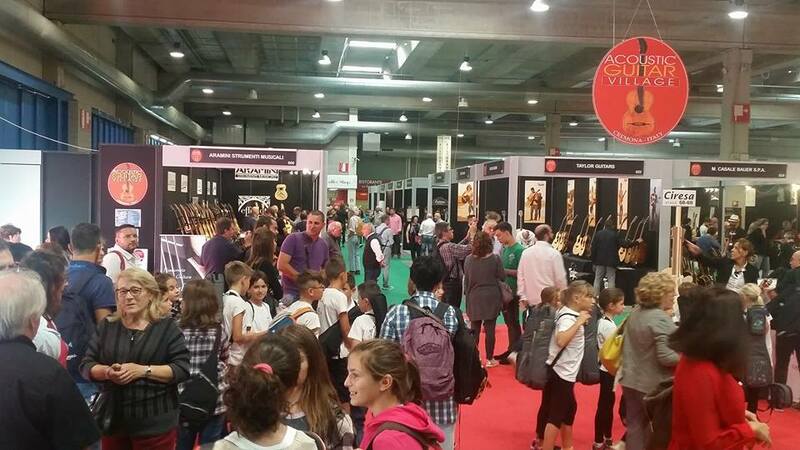 As soon as possible we will announce the chosen teachers for the next edition. 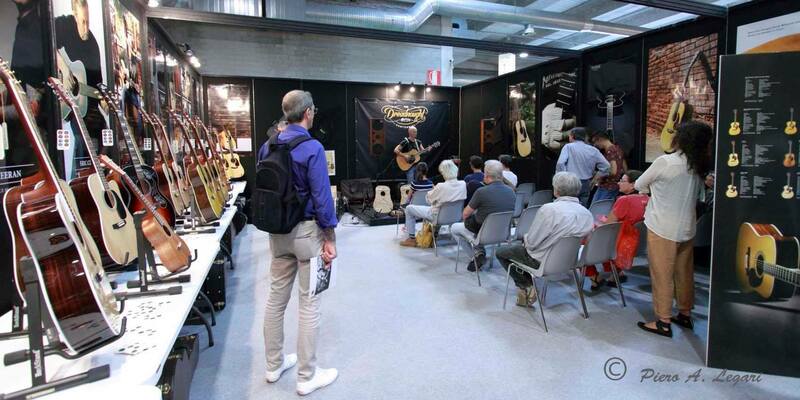 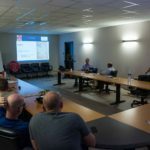 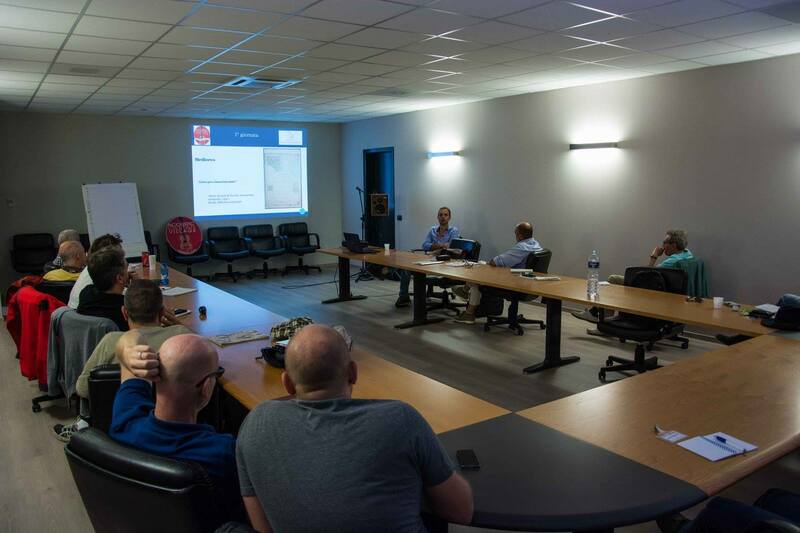 Aside from the masterclasses, many lectures, seminars and presentations have taken place almost incessantly in the special conference area of the AGV. 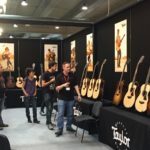 Hard to choose one of the many meetings and conferences to talk about, from restoration techniques for old instruments to presentations of didactic books for guitar, but for sure we have to mention the workshop by Andy Powers, Bob Taylor’s right-hand man at Taylor Guitars, who has deep knowledge of all the secrets of the Taylor Custom Shop! 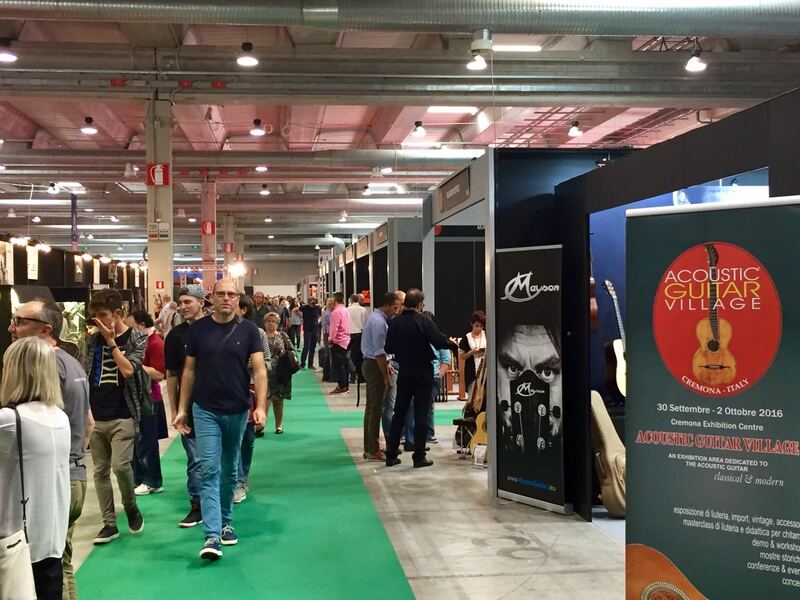 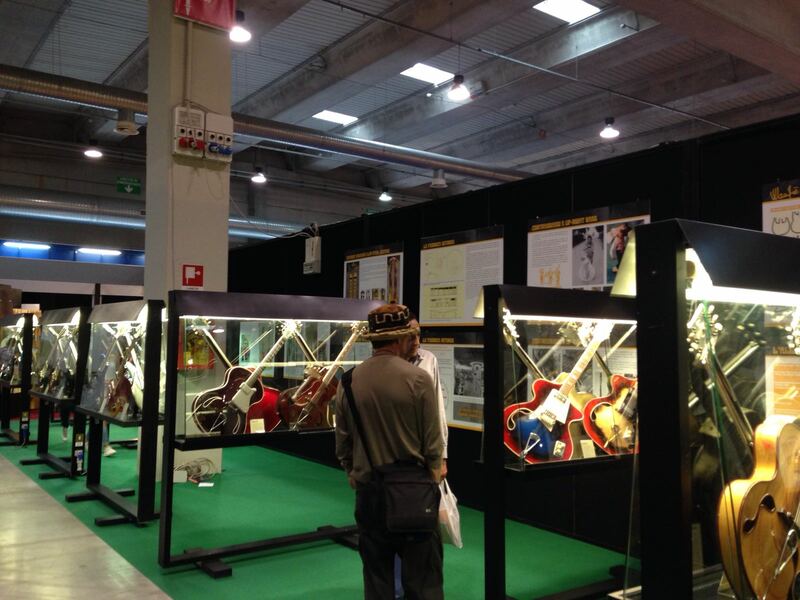 We’d like to conclude this report on the AGV of Cremona 2016 with a special thanks and our most sincere compliments to Marco Ballestri, author of the book “Wandrè, the artist of electric guitar”, and Gianfranco Borghi, historical varnisher of those wonderful guitars-art pieces. 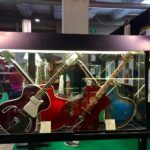 Together with other experts’ help and a huge and passionate work they have assembled and curated what many people described as the best Wandrè guitars exhibition ever. 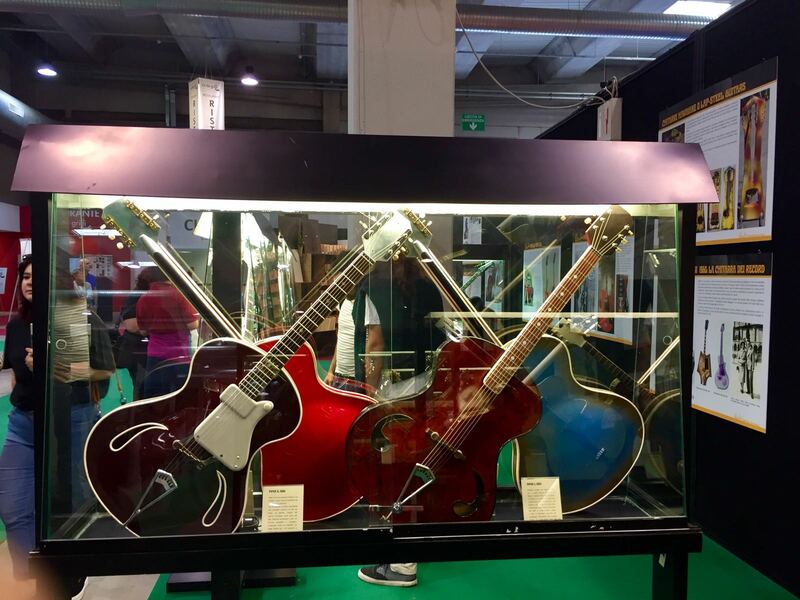 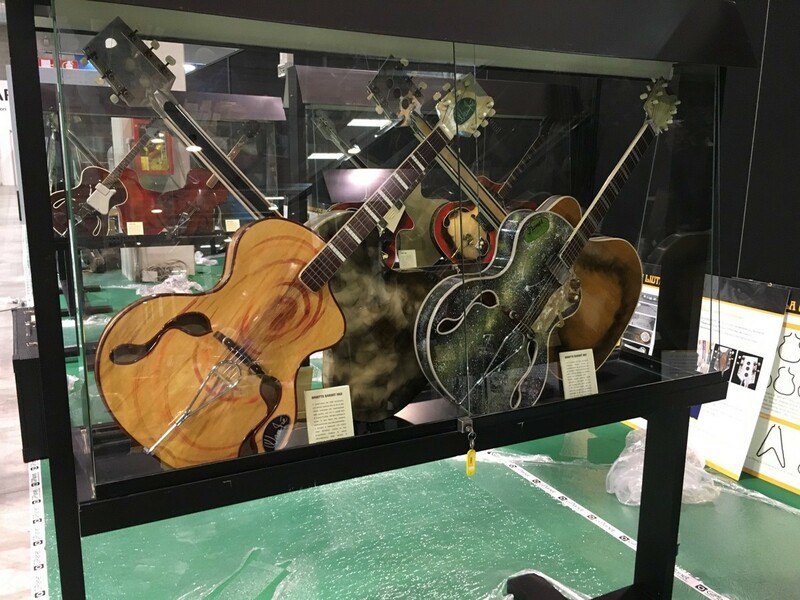 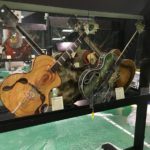 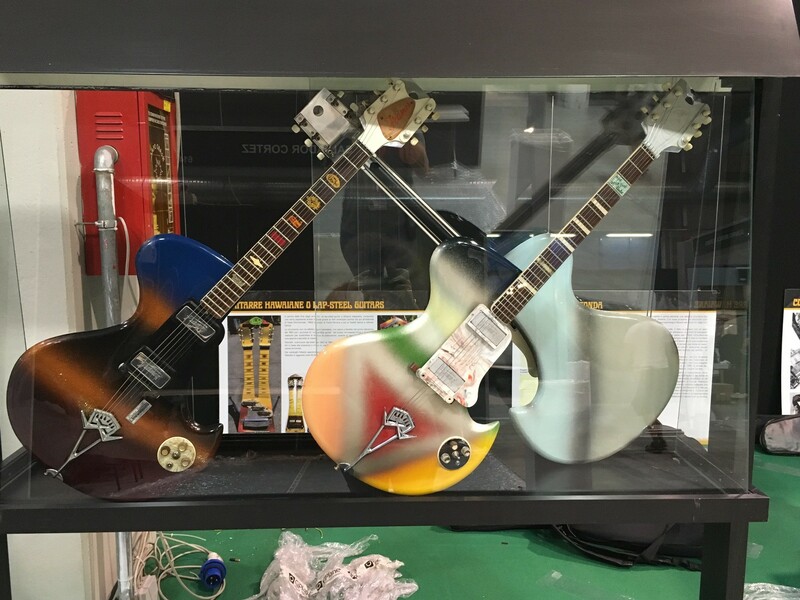 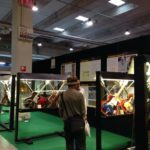 In fact the 10 display cases, full of brightly painted and uniquely designed instruments, have attracted many enthusiasts coming from everywhere to admire a collection for the first time so large, with all the models ever created by the genius luthier from Cavriago, Reggio Emilia. 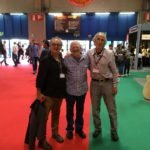 Next year we will undoubtedly present some other historical collection, as this has been a duty and a pleasure that started many years ago in Sarzana, and that greatly elevates the event. 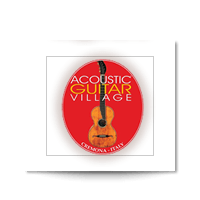 So many contents, year after year…we really hope our efforts and work are appreciated! 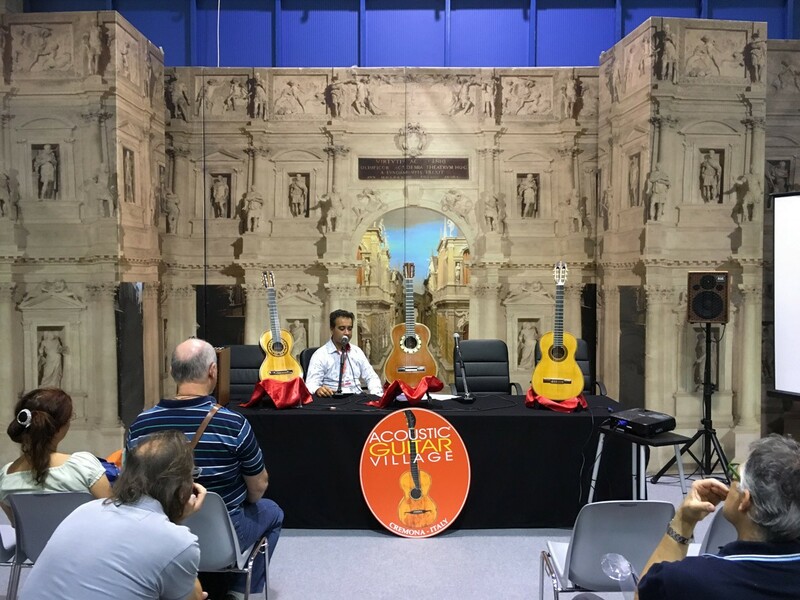 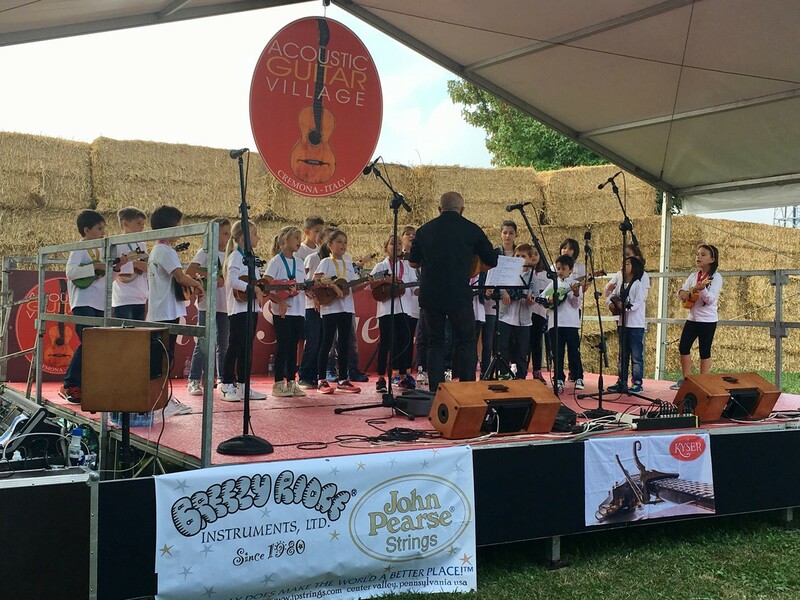 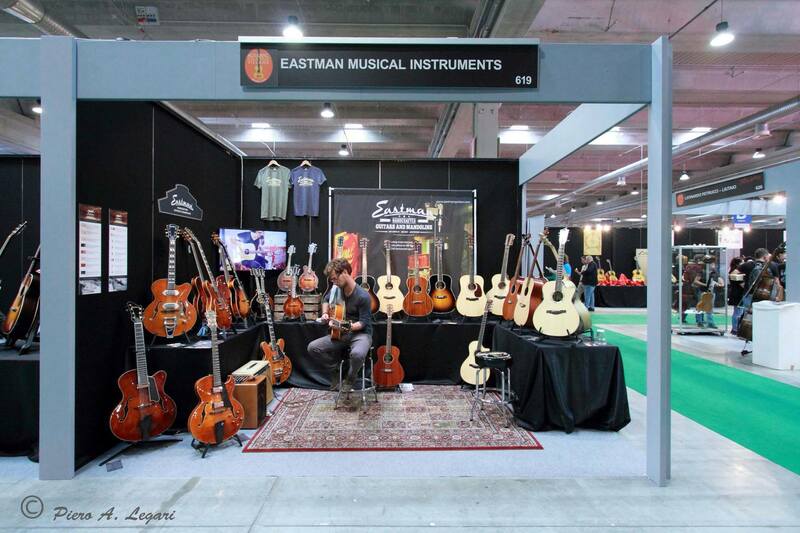 In conclusion we can say that the Acoustic Guitar Village, in its first edition in Cremona, has not made us regret Sarzana at all, and has set the foundation for a sure future growth, to occupy a relevant spot among the international events of the sector. 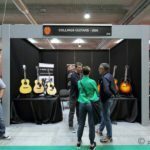 After all, if we want to talk numbers -which are not everything in an event, but need to be considered- there have been: 180 musicians in the various live events, 20 lecturers, 60 exhibitors in the stands and more than 16.000 visitors in the whole fair, with a numerous presence of guitar enthusiasts. Significant data and a starting point for next year. 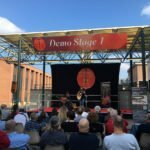 The Acoustic Guitar Village is without doubt the colourful, joyful, full of contents and spectacular new addition to Cremona Musica International Exhibitions 2016, with great promises for 2017!